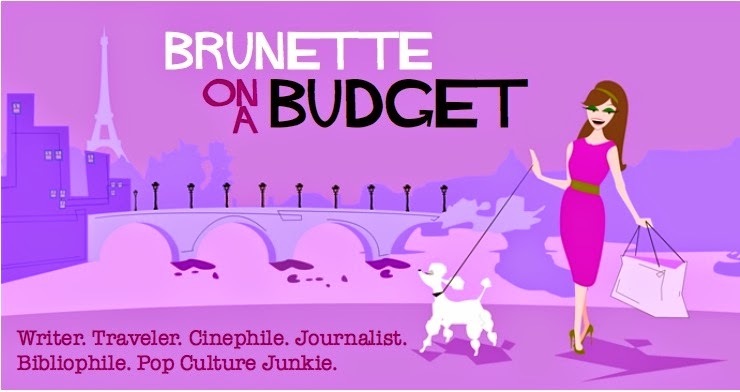 Brunette on a Budget: The whole world's gone Mad: Mad Men Season 4 premiere this Sunday! The whole world's gone Mad: Mad Men Season 4 premiere this Sunday! It's almost time for an all new season of Mad Men! SPOILER ALERT (seriously, if you read this article you are going to know exactly where everyone stands in episode 1; read at your own risk): Exploring Don Draper as a single man in Season 4. New photos are out from the upcoming episodes! Peggy, that haircut is just not doing it for you. Speaking of Peggy's hair, series costume designer Janie Bryant discusses Peggy's coif choice, Bryant's new mod line and vintage clothing. A writer at Salon.com admits that she most identifies with Mad Men's "brattiest, least feminist character": Betty Draper. The NY Post is Mad about the girls. "Forget Carrie Bradshaw," they write, "today's girls are trying Betty, Joan and Peggy on for size." SPOILER ALERT: The SF Chronicle argues that identity is key to the start of Mad Men season 4 (makes sense; creator Matt Weiner mentioned months ago that this year the characters would all be asking: "Who am I?"). 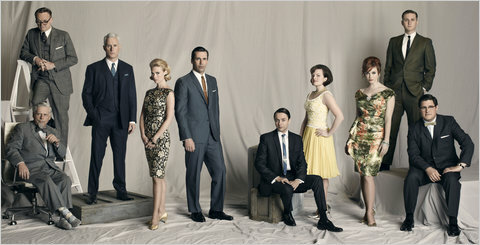 We're in good company: Obama is a huge Mad Men fan. "He wrote to say he enjoyed Season 3," Weiner said. "He was congratulating me on my and the show's success, and I wanted to say, 'But wait, you're the successful person." Since you've already Mad Menned yourself, maybe you should Mad Men your living room. I know I already have. Christina Hendricks looks absolutely stunning on the latest cover of LA Times Magazine. Slate contemplates how season 4 will handle Betty's storyline. Betty Hofstadt Draper Francis? I'm not a fan; drop the "Francis" and we'll talk. 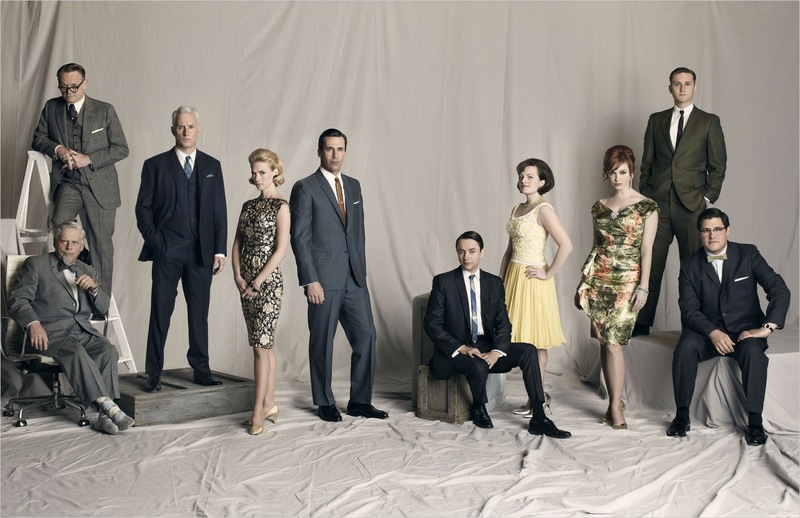 Will Mad Men continue after season 5? If not then my life is over as we know it. SPOILER ALERT: The Wall Street Journal is obvi still Mad about the Men (as they should be). For the diehards out there planning to throw a premiere party, here's a how-to guide so you won't miss a thing (note to self: serve Old Fashioneds with Utz potato chips). For more party pointers, the Boston Globe shows how you can toast the return of Mad Men in style and also has tips on wardrobe and hair for your retro-themed party. Spoiler-free reasons (finally) why you should be excited about the upcoming season. According to the LA Times, "[Don Draper] may look great, but he has no heart, nor capacity for truth. He's Satan in a starched collar." I (of course) don't agree, especially when the writer attempts to make a Don-Draper-as-devil case by saying he chose that pseudonym because both the first and last name have six letters each and six is the devil's number. Creee-per. For the fashion-philes out there, Janie Bryant gives viewers a sneak peak at season 4 garb (the costume closet = buh-nanas). I've seen episodes here and there. I do NOT need another show to get wrapped up in, but I feel like this is one I may have to give in to.